Webed mirror choker in combination with antique beads and thread braiding technique. Webed mirror choker in combination with antique beads and thread braiding technique.Adjustable closureCustomization available Handmade with ♡ in India..
Earring in combination of mirror work and antique gold oxidized piece.Customization available Handmade with ♡ in India. Please give us 3-5 days for ma.. 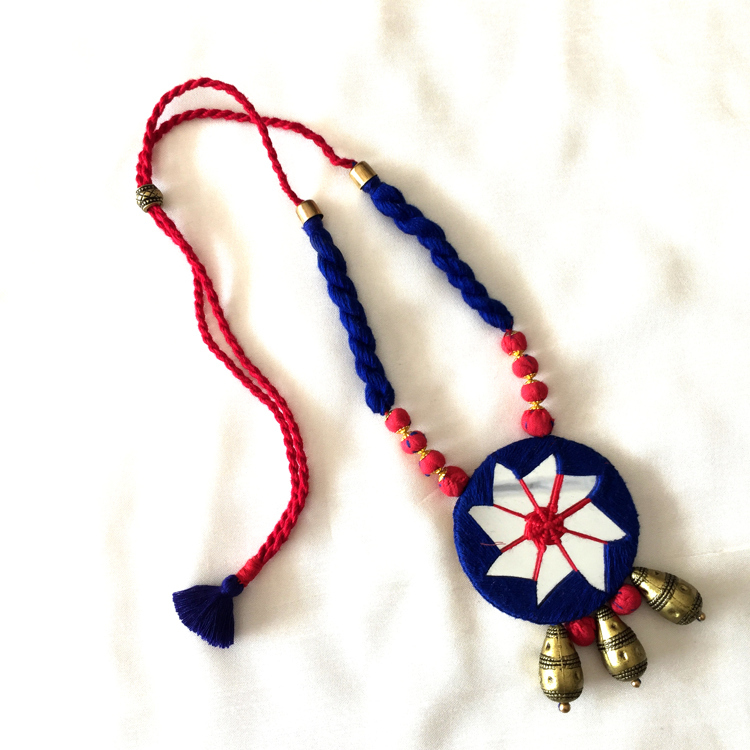 Handmade Necklace in combination of multi color tassels with mirrorAdjustable closureCustomization availableHandmade with ♡ in India.Please give us 3-..
Mirror Work Necklace in combination with antique beads hanging.Adjustable closureCustomization availableHandmade with ♡ in India.Please give us 3-5 da.. 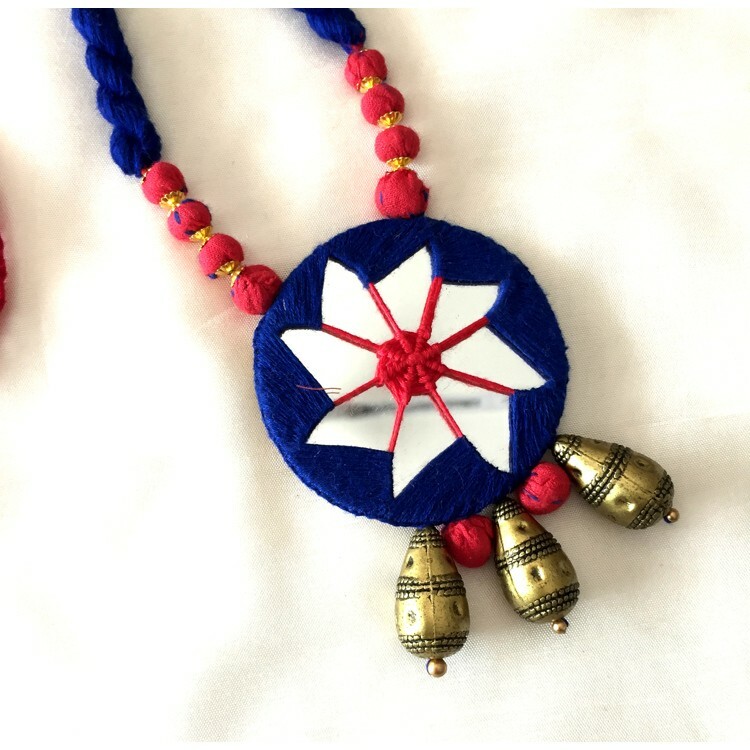 Traditional Kaudi Necklace in combination with Mirror work and tassels hanging.Adjustable closureCustomization availableHandmade with ♡ in India.Pleas..